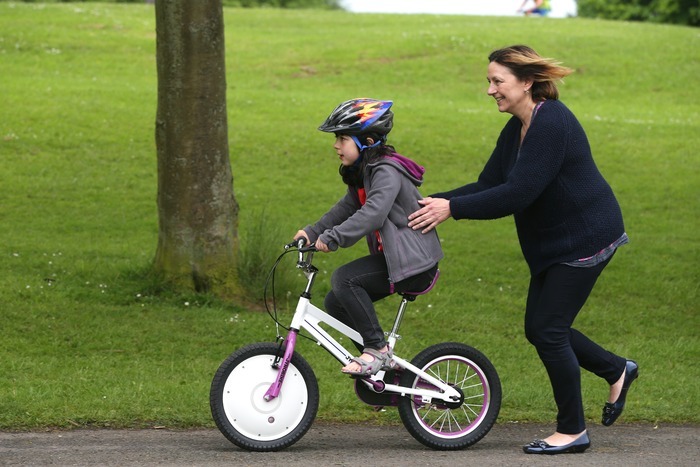 One of the great innovations in teaching kids to ride bicycles has been the advent of “balance bikes,” which are basically bicycles without pedals that allow kids to learn the feel and balance of a bicycle without having to worry about falling over when they start and stop. They’re simple, fun, foster independence, and build confidence. 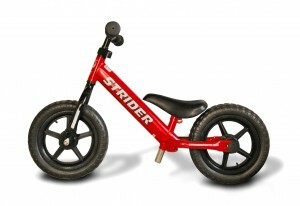 When a child has learned to ride a balance bike, shifting to a regular bicycle can take as little as five minutes. Please God don’t do this to your child. You replace the front wheel of your child’s bike with a $300 gyroscopically stabilized electronic wheel, controlled by an iPhone app. Overfunded at Kickstarter because we live in a sad, sad world. This entry was posted in Crowdsourced, Think of the children! on October 6, 2014 by stern. Stern – you have it all wrong. By working longer hours you can earn more money. So now you can spend more and you can train your kid to ride a bicycle in a shorter amount of time, leaving you more time to work and earn more money… So what if the kid does not really learn, you bought it for him/her! It works with an iPhone it’s gotta be good.